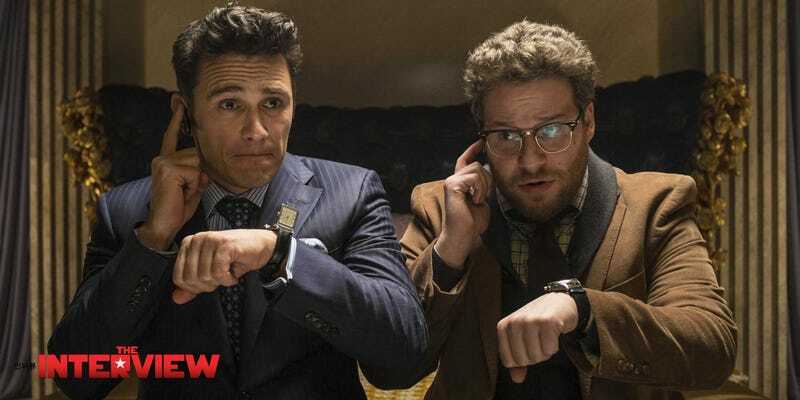 In addition to allowing theaters around the country to view the now infamous The Interview, Sony will also be releasing Seth Rogen and James Franco's latest via YouTube, according to a report from CNN. Update: The Wall Street Journal also says that Sony will stream on YouTube, Google Play, and Xbox Video for $5.99. You can buy the film for $14.99. Sony's confirmed the release of The Interview and will be available on Wednesday (12/24) at 10am PST. Here's the official statement via NBC Nightly News. Rumors have been flying ever since Sony let theaters decide The Interview's fate last week after hackers demanded the film be pulled amid terrorist threats. Five major theater chains responded by saying they wouldn't show the film, and Sony decided to just kill the release entirely. It was a seen as a blow to not only Sony and the film industry but also had wider implications for freedom of self expression. But Sony appears to be having a change of heart. Yesterday The Hollywood Reporter and The Wrap reported that Sony would be releasing the The Interview on a VOD service. The New York Times reported that initial talks with Apple for an iTunes release fell through with Apple being uncomfortable with the tight timetable. Today, CNN reported the Sony/YouTube partnership. However, that partnership is tentative, meaning talks could still fall through, but the movie should be available for rental on Christmas Day if a deal is struck. Price has yet to be determined. We've reached out to Google for clarification on the partnership and will update when we hear back.